It's been 51 years since they killed him, and most Americans are unaware of the admitted role of government in Dr. King's assassination. It’s been 51 years since the assassination of Dr. Martin Luther King Jr., the FBI and Memphis Police Department have sparingly released information implicating themselves or members of their agencies in facilitating and directly causing the untimely death of Dr. King. 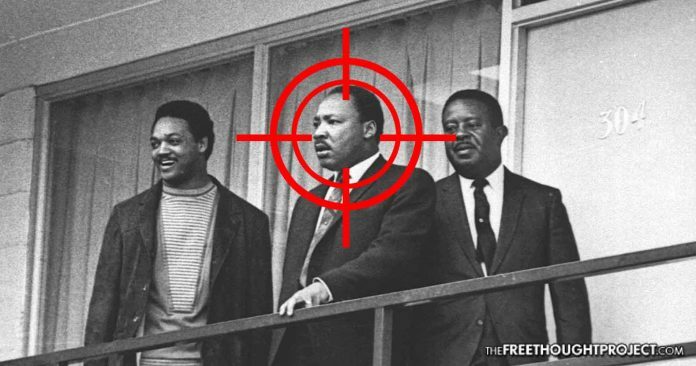 Although the Justice Department officially claims James Earl Ray assassinated MLK, a civil suit later determined that a Memphis cop was involved in a conspiracy to murder the civil rights leader.